Pittsburgh Penguins captain Sidney Crosby is unstoppable. 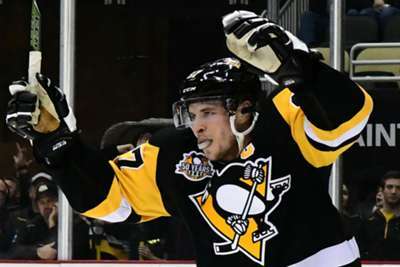 Crosby reached another historic milestone as he recorded his 61st career multi-point playoff game in Thursday's 3-2 win over the Washington Capitals in game one of the second-round series. With a goal and an assist, Crosby passed Jari Kurri (60) for the third most in NHL history. On the opposite bench, Capitals captain Alex Ovechkin became the first player in franchise history to record 100 career playoff points with a goal and an assist. After being down 2-0 in the third period and playing without stars Evgeni Malkin and Carl Hagelin, the Penguins rallied late to stun the Capitals by netting three goals in less than five minutes to erase their deficit. Jake Guentzel had three points in the win, including the go-ahead goal to seal the victory. Pittsburgh have met Washington in the postseason 10 times, with the Penguins winning nine of those series, four of which came in seven games. The Capitals will look to even the series when they host the Penguins on Sunday.